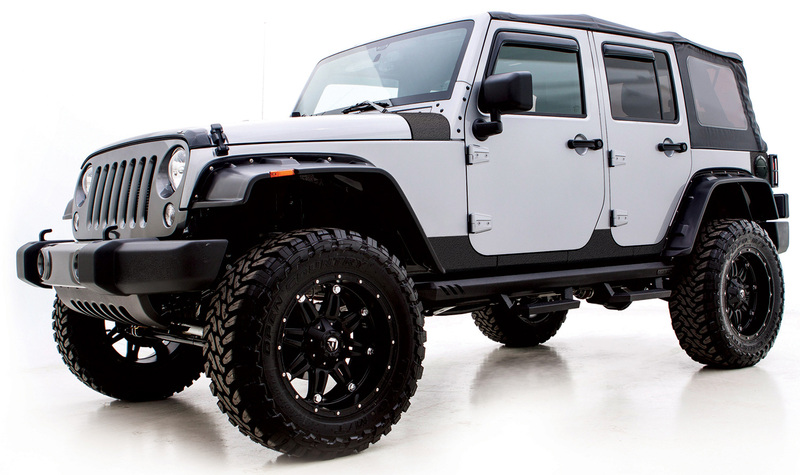 Click on different areas of the Jeep to see a few application ideas for Rhino Linings®. Rhino Linings provides the highest level of corrosion, impact and abrasion resistance for your rocker panels, grille guards, bumpers and truck beds. Farmers, contractors, outdoorsmen and YOU count on Rhino Linings® to protect your investment. Rhino lining the bumper gives your ride added protection from rocks, brush, sand or anything else you come across. Rhino Linings® sprayed-on protection follows every contour of your bumper, fender and grille to create a tough factory-like finish. The terrain may be tough...but Rhino Linings® coating is tougher. Protect your investment by lining your vehicles rocker panels, fender flares, grille, hardtop and more with Rhino Linings solutions. Rhino Linings® prevent rust, corrosion and abrasion. MACARA is your trusted source for Rhino Lining spray-in bed liners in eastern CT. We offer Rhino Linings Extreme for your vehicle. NO job is too big or too small. From traditional truck beds to exterior parts like grilles, rocker panels, fender flares, and off-road vehicle tubs we do it all. Rhino Lining is backed by a lifetime warranty. We take pride in our work and enjoy the excitement of making your vehicle tough and rugged looking.